The “other side” of the bank is lending and debt (the REAL reason the banks is in business). Without lending the bank would have virtually no income. The bank uses the savers money to lend it to the borrower. Joe got his first credit card at 18 years old. He bought $1,500 in junk the first 6 months and only made the minimum $25 payments every month. 3 years later at 21 he was still using the card. He added more balance to it. As he kept up making the payment each month, the company added more available credit and he maxed that too. He was still making the minimum possible payment and most of his bill was from the original purchases he made back at 18 years old. The majority of his payments had gone to interest. Very little of it went to pay off the balance he used therefore he has a never ending balance. “You must borrow, you must have it NOW!" Our 1st casestudy Robert lives in the same economy but doesn’t have most of the concerns that Joe has. In fact, Robert is nearly completely free of any debt. He is also using the drop in the recent stock market to buy up good stocks from solid companies at low-low prices per share and knowing that they are likely to come back up eventually. Banks and finance institutions use Roberts’s cash to lend to Joe; the bank pays Robert for loaning them money to loan to Joe. AND Joe pays the whole bill. Let’s examine this as it has been a bone of contention in certain Christian circles. Borrowing can’t be a sin. God told the Jews that He would make them lenders and not borrowers in Deuteronomy 28. God wouldn’t make them lenders if borrowing was a sin. God won’t be a part of helping someone sin. At the same time He said He would make them lenders not borrowers. Evidentially God’s ultimate plan for his people is to always be the ruling class. However, you borrow every time you turn your lights on. You use the electricity today but pay for it on your next months bill. So you must start where you are and take steps to move forward. God has a billion ways to bring you a million dollars. Money is never an issue with God. But many of us have different levels of faith and understanding regarding money. You need to follow the Peace of God regarding your financial decisions, especially when it comes to debt. If you don’t have peace on the inside, if you have a funny feeling in your gut that makes you uncomfortable regarding a decision you are about to make, you had better cancel it and take a step back. Used wisely any of the various tools offered by banks can be useful for you to leverage your time, money, and to improve your life quality. Used badly the loans will become a vice to crush you. Let’s take a look at home buying for example. So should I rent or take out a mortgage loan and get a house? There are good calculators available online to help you determine your financial readiness for a home loan. What I want to examine here are the principles to consider when thinking about using credit. When you rent, you are borrowing the apartment or house from the owner. Many times the owner has a mortgage so you are already paying a loan; it’s just not your loan. The bible says that the borrower is servant to the lenderand anyone who has rented for any time knows that is true. By renting you borrow the house or apartment from the owner. The owners or managers come in often to update this, or inspect that. You are limited to what you can and cannot do to the property. Most won't even allow you to paint the walls yourself. They even call the owner a “land lord” The owner is the lord over your land. On the other hand if you take out a mortgage you are now a borrower from the bank. You are servant to their terms and disclosures. The bank owns the house, but you are usually freer to do as you want than you would be in an apartment. The bank owns the house and has the right to foreclose on the house when you fail to pay. Of course so does the apartment. Since the bible says to owe no man anything but to love him, you ought to believe God for a debt free house. As you are in the process of developing your faith for that debt free house, you still have to live somewhere. You must decide which entity you are going to borrow from. The land lord or the bank? Both have merit. If you are renting and God calls you to move to Africa you can pick up and go! If you “own” you must first sell your property or rent out the property to ensure payments continue. Renting also gives you a lower commitment. Utilities are often included. Maintenance is usually preformed by the property owner. When something breaks you simply call them up and they fix it for you. Grass is mowed by the owners. You just pay your bill and go about your business. In some ways it’s a care free life but a limited one. If you know you are where you are supposed to be and God will not be moving you away any time soon, than the bank could give you a lower payment and a fixed payment which frees you up to serve in your local duties. This is because although rent may increase each year, typically your house payment is fixed and does not go up, however your property taxes could still increase your payment from time to time. You may also find that a house would give you more room for your growing family or ministry. Pray through the decision. God will help you determine which is best for you and which plan brings you into His perfect will for your life. If you want to rent, fine, rent from the bank. We'll keep your rent payments fixed and in 30 years we'll give you the house for free! Of course you will want to be seeking God to get that house debt free faster, but it is a good point. Follow the Peace of God. Don't move if you have a sense of unease about it. Always seek a payment LOWER than you can afford. Houses have a way of taking on extra payments. Many apartments cover water, sewer, and trash; however as a home owner that is now your cost. Houses often have Home Owners Association Dues (HOA) which can be expensive. Pray until you have clear direction from God. Learn as much as you can about credit, credit scores, and the loan process before you jump in. Take courses for free online at various websites (see the resources at the back of this book). Get a firm grasp of the process you will go through if you “buy”. Render therefore to all their due: taxes to whom taxes are due, customs to whom customs, fear to whom fear, honor to whom honor.8 Owe no one anything except to love one another, for he who loves another has fulfilled the law. The guiding principle found in Romans chapter 13 is not to owe anyone, or in other words do not allow yourself to get behind on your payments. If you have a tax bill due, pay it. If you have a light bill due, pay it. If you have an auto loan due, pay it. Don’t get behind if it’s in your power to do so. He made provisions in both the old and new covenants to help people become debt free. The jubilee laws of Israel in the Mosaic Law were the very foundation of our bankruptcy laws in western societies. Lawyers studied the bible to help create these laws to remove debt from peoples’ lives. If however it’s in your ability to do so, make paying your bills a high priority. If you agree to something you had better make sure your word is your bond and you keep that promise. That’s also known as integrity. If you expect God to honor His word to you, He expects to you to honor your word to Him and to others. So you thought about it, researched it, and especially prayed about it and you’ve decided that God approves of you borrowing money for the specific task at hand. What products do the banks offer and which one is right for me? First of all, debt can be either secured or unsecured. This means that there may be something backing your debt or not. Secured means that something of value secures the loan. That something may be taken by the bank in repayment if you default (don’t pay). Unsecured means that nothing secures the loan other than your word and credit history. Therefore nothing can be directly taken in repayment, but could still be taken through levies and court actions in collections should you not repay. Really there are two basic categories of lending; all of which can be either secured or unsecured. Open ended credit (also called revolving credit) and close ended credit (also called non-revolving credit). With revolving credit you use it and pay it back then use it and pay it back over and over as long as the account is open. With non-revolving credit you borrow a specific amount for a specific purpose and make specific payments back overtime. Once paid off the loan closes and you have to apply all over again if you want more money. These loans have a fixed payment, usually fixed interest, and scheduled payoff date. As long as you make all payments on time, you could know 5 years from now what you will be paying and when it will be paid off entirely. Two examples of open credit are credit cards and lines of credit. You use your credit cards and then get a bill. Typically if you pay your entire bill before the due date then you pay no interest. If you do not pay the entire bill, you pay interest on all or part of this statement’s balance if you don’t pay off the entire balance. Check with your bank. Interest rates on credit cards are variable and usually high. They are often negotiable as long as you make all payments on time and never use more than your credit limit at any one time. But this is getting harder in recent years. The best for your standing with the bank is to pay off your entire balance every month. This gives you more favor then leaving small balances and not paying in full. A line of credit is similar to a loan. A credit limit is set from which you can borrow and pay back over and over again similar to a credit card. You can write checks from a line of credit or have portions of your available credit transferred to your checking account. Typically you pay interest on any balance owed for as long as you use it, like a loan. If you use it for 3 days and pay it back you pay 3 days of interest. The interest rates tend to be more stable than a credit card and you will generally find these to be a better option for actually borrowing money. The rates are still variable and could go up or down over time. Use Credit Cards for daily spending and take advantage of the rewards programs. Never carry a balance as interest rates on these can skyrocket overnight with little to no warning. Always pay the balance in full each month or cut it up. If you purchase everything through your credit card and make one payment each month to pay it off, this could maximize your rewards while decreasing the amount of debit card transactions. This makes checking balances easier to keep up with. A note to be made on this, your limit is generally your limit per statement cycle. If you have a $3,000 credit limit, you use it and pay it off twice in the month of March; the credit card company says that you have used $6,000 which is twice your limit. It doesn’t matter that you paid it off so that you never had a balance over your limit. This can be considered a red flag for potential money laundering and is taken seriously by the banks. They may even block or close your card over it. Pay your bill off after you get it, and use no more than your limit within that month and you should avoid this troublesome phone call. A Line of credit makes sense for someone who will need to borrow money from time to time, more than once without knowing how much or for how long. The interest rates will be variable but usually tied to something like the Prime Rate. Therefore they are more stable and usually only raise when the Prime Rate changes. One use for a line of credit may be to have a reserve of emergency funds in case you need to make repairs to a car or home. Some have used these funds to carry themselves through tough times after injury or losing a job. Some use the money to invest in a project or business. Some people use $20,000 for two months and pay it off, and then borrow it again latter for another short term business opportunity. The best time to apply for a line of credit is when you don’t need one. Usually the circumstances that cause you to want a line of credit prevent you from qualifying for one. Closed ended credit is most often just called a loan. 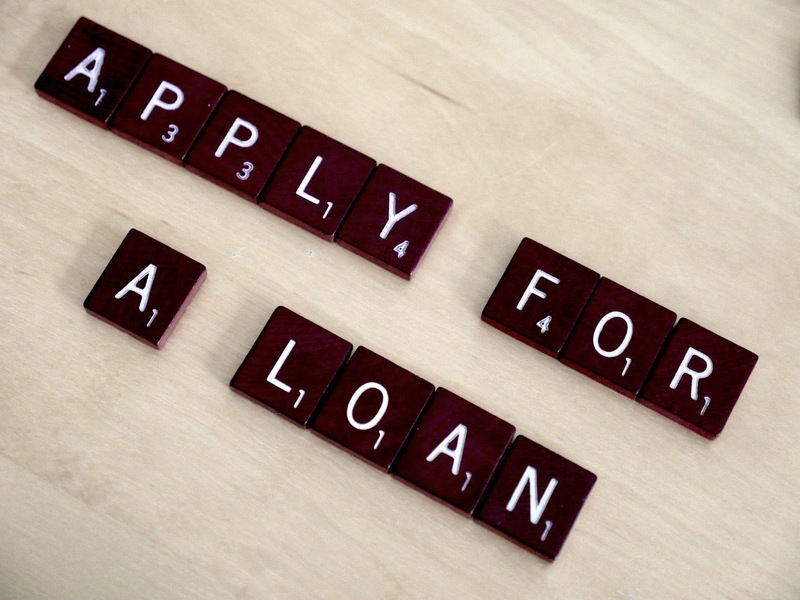 In taking a loan you borrow a specified amount for a specified time, usually at a fixed rate. 4 popular loans of this type are: Home Mortgage, Home Equity Loan, Personal Loan, Auto Loan. Home equity and auto loans represent secured loans. The home or auto secures the loan and if you fail to make payments the bank can take it back. Personal loans are unsecured which means they are based only on your word and credit history. Unsecured loans can have higher interest, however they may be better because if life turns on you the home, auto and property you have is safer from creditors. Secured loans could be a financially wiser move given that the interest rates are so much lower, which is less money out of your pocket long term. The bottom line with credit is this: Proceed with Caution. A credit card can be convenient, it can even leverage your purchasing power through rewards points programs. However never ever carry a balance always pay them off in full every month. If you have not developed the discipline to do so, call the card company close it and cut it up. Loans and lines can be useful. If you have a sizable down payment for a big purchase like home/auto/business but need that extra to put you over. However, buyer beware, the loan should be well thought through. I once bought a minivan. I needed a new larger vehicle because I was transporting to full sized adults and a car seat in a small pickup truck with a single cab and a bench seat. I bought late at night, with no real plan or research. I bought feeling pressured and ended up buying a car way out of my price range. Emotion is a bad reason to enter any contract. Emotion can never be allowed to interfere with a financial purchase. Have emotions but never let emotions have you. A loan is a contract with another party. You will be bound to them until it is repaid or forgiven. Make sure you really want to be bound with that party, that institution, that payment, that rate, and that amount. Take your time, pray, research, gather facts. Make sure you understand exactly what you are buying and why. Do not sign until you are at total peace with the deal. Even right to the last minute you are better off running away from the situation, praying overnight, and coming back than you are signing it without total peace.